In The Prison, Shell Ferguson visits his incarcerated grandson Cal with tragic news: his daughter, wife, and grandmother have perished in a fire. Cal must rely on his grandfather to uncover the suspicious circumstances of the blaze, as clues unfold to establish his innocence. Compelling revelations link the fire and Cal's innocence with domestic terrorism. 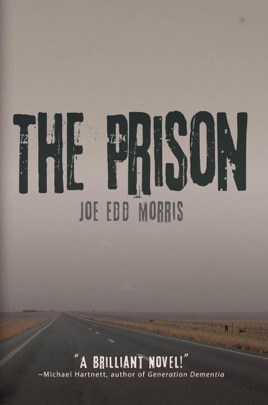 From plots to blow up Mississippi River bridges to threats on their lives, grandfather and grandson take a series of risks, including Cal's daring prison escape, to save the remnants of their family and southern community so disturbingly infiltrated. A surprise addition to their efforts is Cal's six-year-old daughter (thought to have died in the fire), who was kidnapped by the terrorists and escaped from their camp. The trio, in a race against time, help the FBI and Coast Guard thwart the nefarious plot.